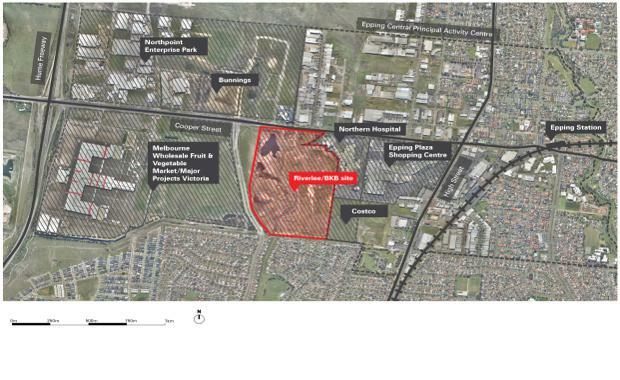 Property development and investment group Riverlee has purchased a 46-hectare former quarry and landfill site in Melbourne's north for $14 million in an off-market deal. The site at 215 Cooper Street, Epping, was purchased in partnership with Malaysian public listed company Batu Kawan Berhad (BKB). The site marks the BKB Group’s first real estate investment in Australia. The Riverlee/BKB purchase coincides with massive economic growth and financial investment in Epping Central from government and the private sector. “We consider this an exciting opportunity to bring life to a site that has been inactive for nearly two decades, and deliver something great for the local community," Mr Lee said. Epping Central is the City of Whittlesea’s Metropolitan Activity Centre, which was recently signed off by Planning Minister Richard Wynne as one of five new Activity Centres around Melbourne. The City of Whittlesea is the second fastest growing municipality in Victoria. The vision for the Riverlee/BKB site is to create a master-planned mixed-use precinct that integrates with the adjoining medical, retail, residential and commercial zones surrounding the site. “Although the site does come with some complexities given its historical use, we see great potential," Mr Lee said. The investment by BKB, represented by Thomson Geer Partner, Eu Ming Lim, is significant in the type and location of investment by an established overseas listed group. Mr Lim noted that it marks a shift from the typical CBD and inner city type developments to a more integrated development which includes a greater variety of housing types and commercial uses.